Fabulous place to live submitted by Mark K. - Jan 16, 2017 |Recommended: YesMy apt is very well designed constructed, well insulated with no cold spots in the apt., a lot of cabinets and storage space, and VERY roomy'. Staff is very responsive. There is no street noise. Having a ground floor apt with the stairs the other side of my bedroom wall and a dog who needs to get out early in the a.m. and late at nights makes for more noise than I'd like to have... common problem even for this place. Management has offered to intervene in a very diplomatic way. This shows their commitment to making The Falls a place where anyone can live assuming they all play by the same rules. response from property - Jan 17, 2017 Thank you for your review, Mark! We appreciate your feedback. Pet friendly, new apartment with modern finishes.submitted by Jasmine D. - Jan 05, 2017 |Recommended: YesStaff is always friendly and questions and concerns are typically addressed the same business day. The resident portal is easy to use, and makes paying rent, contacting the office, etc., fast and a great way to get updates. Apartments are modern, well insulated, and the community is quiet. The maintenance staff is knowledgeable, and concerns are addressed typically within one to two business days. response from property - Jan 06, 2017 Thank you for your review of The Falls Apartments! We appreciate your comments and feedback! Fantastic Place to Livesubmitted by Zachary B. - Dec 12, 2016 |Recommended: YesIt's a great place in a great area with the best property management I've ever dealt with. response from property - Dec 13, 2016 Thank you for your review, Zach! response from property - Dec 13, 2016 Thank you for your comments, Aspen! We hope you continue to enjoy your residency at The Falls! response from property - Nov 17, 2016 Thank you for your comments, Whitney! I appreciate your feedback and hope you continue to enjoy your residency at The Falls! Love everything so far submitted by Bradley R. - Nov 11, 2016 |Recommended: YesGreat location, great floor plans, great amenities Best apartments in the area. response from property - Nov 14, 2016 Thank you for your review, Brad! We appreciate your feedback! Very excellent, only complaint is hearing neighbors oftensubmitted by Megan D. - Nov 10, 2016 |Recommended: YesThe Falls are great apartments, well designed and the staff is professional and friendly. I have enjoyed living here and the only big problem is regularly hearing neighbors above us. Other than that I have been very pleased with our experience here. Very good experience.submitted by Gabriel C. - Nov 08, 2016 |Recommended: YesA little pricey, but also very nice living. response from property - Nov 09, 2016 Thank you for your comments, Gabe! We hope that you will let us know if there is something we can do to make your residency at The Falls more enjoyable. Great staff and location submitted by Heather A. - Nov 06, 2016 |Recommended: YesAmenities are great. Staff are helpful and friendly. response from property - Nov 07, 2016 Thank you for your comments, Heather!  The Best Place to Live in Idaho Fallssubmitted by Kathryn W. - Oct 19, 2016 |Recommended: YesI would highly recommend The Falls Apartments to anyone looking to rent in the Idaho Falls area. The apartment community is brand new, very safe, and offers great amenities--pool, hot tub, gym, clubhouse, etc. response from property - Oct 19, 2016 Thank you for your review, Kathryn! We appreciate your comments! Love it submitted by Brian D. - Oct 01, 2016 |Recommended: YesIt's the best apartment complex I have ever lived in. response from property - Oct 03, 2016 So happy to hear you are loving the community! Please let us know if there is anything we can do for you, Brian! Nice construction and managementsubmitted by Joshua H. - Sep 28, 2016 |Recommended: YesThe apartments are very attractive and of good construction, and the management is very professional. My only complaints are that sometimes the stairs outside my apartment are very noisy, particularly in the morning, but this is especially bad for me being an apartment that shares a wall with the first flight of stairs. response from property - Sep 29, 2016 Thank you for your review! We appreciate your comments. Please let us know if there is something we can do to make your residency more enjoyable.